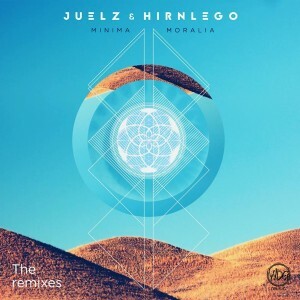 WDG-Music, a young crew and label based in Northern Germany, brings an entire album of remixes based on the title track of Juelz & Hirnlego’s first release on Parasomnia Music, Minima Moralia, in 2014. Connecting international artists, this release aims to bring you fresh psychedelic sounds from pumping progressive to deep, dark forest music. Mastered by Robert Hundt/Radioactive.Cake at Anti-Logic, Berlin. Track 7 was mastered by Gibb Tartaris/Reflection, Canberra. Artwork designed by Magnori Kadu/Geometory. MP3 Download | FLAC Download | WAV Download · Download count: 6,443. OK- only recently I discovered ektoplazm.com and have been exploring the various ‘styles’. Through this proccess I have found the more mellow and less “thumpy” (thumpy being ……these beats that typically over power the music and from a distance, sound the same as the rest…..). I have now found progressive, downtempo and zen styles are my favorite. Of the music I’ve heard in this style- category your music is hands down, the best!!!! I’m very impressed and so pleased I found your stuff. Once I realized I liked this is I did a search and downloaded 2 other albums from this site and these were not a disappointment either. They delivered!! The work has a distinct sound and is consistently high quality – not just because of the high bit rate encoding but in composition. Most – if not all – the songs center around a smooth bass sound along with a dark moodiness that is held together by the mild beats delivered with an original complex staccato rhythm which changing patterns throughout. Not your bland generic preprogrammed (heard-it-all-before) stuff ……..that is complimented with refreshing changing melodies as well. All of this is layered and mixed together very well and finished off with intriguing and futuristic digital clips of various brain tickling clips and glitches (not sure that the right word for these)which is honestly better heard than described. To pass over this stuff without sampling would be a mistake. I really need to know how I can hear more or what I can do to have more access to this music. Hola alguien sabe porque no encuentro esta música en Spotify? ?